September 9 of this year saw Apple host its annual iPhone launch, the world was officially introduced to the iPhone 6S and the iPhone 6S Plus – most of the rumours surrounding those phones came to pass, although one phone was very conspicuous by its absence. Although nothing rock solid had surfaced, Apple fans were expecting an new version of everyone’s favourite (maybe not everyone’s) budget iPhone. The thing is leaks happened, as they do, and word was that the 6C had been ditched. It seems that celebrations of the death plastic iPhone were premature, at best, read on to find out what Screen Fixed has managed to uncover. At the moment, insiders are saying that February or March will see the launch of the C model, but it’s been on everyone’s lips since the release of Apple’s original budget model with the iPhone 5C, and many were disappointed to see the launch of the iPhone 6 and 6S come and go with no mention of it. To say it was a huge blow for some is an understatement, the draw (although it’s something I’ll never understand) was the smaller, more pocket/purse friendly screen size, and the lower price point. Originally suggestions pointed that the iPhone 6C would be part of the September launch and be nestled along side the 6S and the 6S Plus, but as everyone saw, it wasn’t the case. The firmest release date I could find (and I use firm in the loosest sense of the word), ranged from one source laying money on the middle of the year (to close to the iPhone 7 release if you ask me), so a rumour coming from the people that actually build the things, and they have dibs on the beginning of the 2016. Then in the same breath, people smarter then “Me” are saying the 6C will be released with an apple Watch 2, this will take place an an event slated for March. So what are the chances of Apple releasing something like this not in September, the standard release month for the company? Honestly, your guess is as good as mine – that being said, if they got those releases out of the way early it would allow all focus to be aimed at the iPhone 7 for later in the year. Isn’t speculating as exciting as it is confusing…. I’ve always wondered what Steve Jobs would’ve thought of the iPhone 5C, it seemed to go against everything he fought for, it was a lesser version of what was already on the market, plastic body and all. The plastic body seems to be all but confirmed after a new image of a plastic shell was leaked, which would then lead to a possible lower price point then Apples other phones in the range, but just by how much will depend on what else they sacrifice. 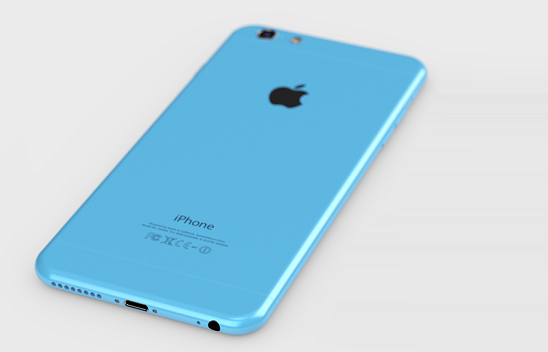 Expectations at the moment are that the iPhone 6C wont deviate to much from the look of the 5C, except, it might inherent some of the curves the 6 model has been given. Another safe bet is that the 6C will come with the same processor as the straight 6 (remember the 6S came with the incredibly powerful A9). Common sense would assume that, although aimed for a cheaper marker, Apple has put so much behind Apple Pay (which no bank in Australia has decided to embrace, yet) and the Touch ID, it would be silly to introduce new model phones, no matter what price point they are aimed at, into the market that don’t support these features. And it will of course run iOS 9, Apple would never release a budget model in the middle of the year and use that platform as the showcase of iOS10. What wont it have? Most of the brand spanking new S features, 3D Touch, 4K video and the 12mp camera. So What I feel we will be seeing hit our shelves in within the next 4 months is a plastic cased, hideous coloured (I don’t find phone colours like that ‘fun’) iPhone 6 with a ‘C’ slapped on it. The question is do we need it? One of the reasons I loved the iPhone brand is that you had one phone, and it did everything, no compromises, everything you needed was in one place, on one phone. Currently Apple has four phones under the iPhone 6 banner, do we really need a fifth? A valid question, but according to the figures, 20% of Apples user base want a 4′ iPhone. With the 5C no longer in production and over two years old, I guess it had a market. No doubt we’ll find out soon enough, but don’t expect to see anything more then a cut down iPhone 6, and maybe, just maybe we might get 3D Touch on that 4′ display. And of course, always remember whichever iPhone or smartphone and whatever screen type you have, the incredibly talented team at ScreenFixed will make sure your phone always looks its best with lightening fast repairs. Fix it right, the first time.